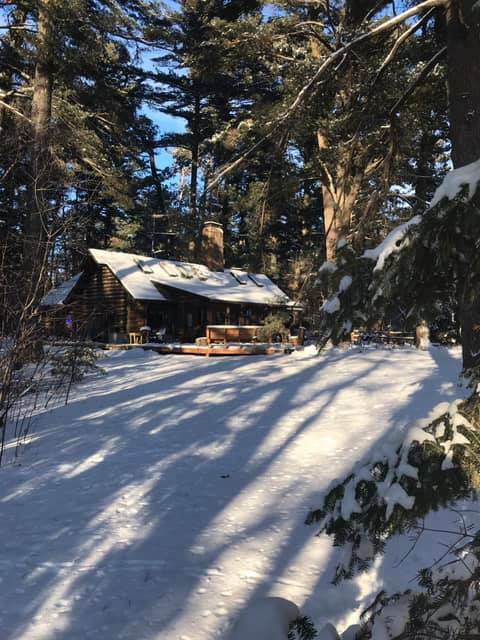 AS WE PLAN for summer trips and Road Scholar expeditions, we awaken here at the CHURCH O’ THE PINES to below zero temperatures. And news that at Lake Kabetogama—scene of our August National Park boat trip to Kettle Falls—the overnight low was 42 below zero! That’s 42 degrees less than nothing!! I have been at our little cabin on Fawn Island when it was 20–30 below, when the stars at night seem to sparkle with frost, when the lake moans and growls and the northern lights drape a billowing curtain across the sky. It is hard then to remember the soft lapping of waves and the calling of loons, but it is all a part of the North Country. Here by the Mississippi, directly across from the great granite outcropping that Zebulon Pike named ‘Peace Rock’ because of its significance as a symbolic division between Ojibwa and Dakota lands, we are cold. We are aware that our noses sting as we set out the Sunday morning goodies in Fellowship Hall for our congregation. Our members do not remember Zebulon Pike. They do not remember that 20 plus years ago our early morning low one day was more than 50 below zero, and that several gray foxes and barred owls did not survive that cold snap, later found by the Caretaker in the woods.